I am looking forward to my term as President of ISER. This is a wonderful opportunity to pay back the society for all the opportunities that being a member has given me over almost 40 years. I need to thank a few people who are stepping out of their roles on the Executive Committee of the Council. Dr. John Penn, for all of his hard work and dedication to the Society as President and as meeting liaison for many of our recent meetings. Also, Dr. Tailoi Chan-Ling, outgoing Secretary, for all of the important innovations she has made to the society, including initiating WISER and pushing hard to create opportunities for Young Investigators to participate in leadership positions in the society. And on to the future, I welcome Dr. Carol Toris who is replacing me as Treasurer and Dr. Frank Lovicu who is stepping in as Secretary. Dr. Olaf Strauss is continuing as meeting liaison, after the enormously successful ISER meeting in Belfast that he organized with Drs. Roy Quinlan and Alan Stitt, who are currently VPs for Europe. 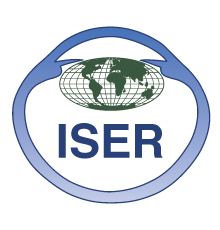 Other new members of ISER Council are Mary Elizabeth Hartnett, Vice President Americas, and Nilisha Fernando, the Young Investigator Representative. The ISER Council meets each year on the Saturday before the ARVO meeting starts as well as on the first day of our ISER Biennial Meeting. This year, at ARVO in Vancouver, we will be holding a Strategic Planning Meeting. This will be the first Strategic Planning Meeting we have had since 2011. The previous meeting resulted in the restructuring of the governance of the Society and a number of other important changes. We hope to have much success with a thoughtful review of our society and its functions. Also, at the Council and committee meetings, we will be actively working on plans for our next ISER Biennial Meeting, which will be held in Buenos Aires, Argentina from Oct. 25-29, 2020. Dr. Strauss will be working with Drs. Nicholas and Haydee Bazan, who will be the local organizers, to plan this meeting. We will also start a discussion of a location for the 2022 meeting, which will be held somewhere in Asia/Pacific Rim in our usual rotation between geographical areas. Please also remember that we have a Glaucoma Symposium coming up this Fall, which is sponsored by ISER and the BrightFocus Foundation. This symposium is entitled "Concepts and Breakthroughs in Glaucoma" and will be held at the Emory Conference Center in Atlanta, Georgia, USA. The symposium organizers are W. Daniel Stamer, PhD; C. Ross Ethier, PhD; and Robert Nickells, PhD. There is an exciting line-up of outstanding leaders in the field of Glaucoma research who will be presenting their work. This Society needs volunteers to run for office in the Fall, to serve on our many committees and to offer opinions and ideas for the ISER Council to consider. I urge you to contribute to YOUR society. The relaunch of an off-year meeting by ISER in 2017 was a tremendous success. Together with BrightFocus Foundation, the Glaucoma Symposium “Concepts and Breakthroughs in Glaucoma” was held in Atlanta in 2017 and attracted more scientists from around the world than expected and generated tremendous positive feedback. The pre-symposium BrightFocus Glaucoma Fast Track had an excellent line up of keynote speakers, which were fundamental to this success. Thus, the decision to organize the next meeting was easy. The ISER/BrightFocus 2019 Glaucoma Symposium “Concepts and Breakthroughs in Glaucoma” takes place again at the Emory Conference Center in Atlanta, from October 23rd to 26th. The meeting will start with the pre-symposium BrightFocus Glaucoma Fast Track on October 23rd, chaired by John Morrison and Abbot F. Clark. The main meeting is again in the hands of W. Daniel Stamer, C. Ross Ethier, and Robert W. Nickels who have already assured the plenary lectures of great experts on innovative topics in Glaucoma research. Ursula Schlötzer-Schrehardt will address the relationship between Exfoliation Syndrome and Glaucoma. The aqueous humor will receive a special focus by Paul L. Kaufman who will speak about the outflow regulation. Ted S. Acott will give a comprehensive analysis of the relation between outflow resistance, intraocular pressure homeostasis, and Glaucoma. New frontiers in Glaucoma research will be covered by lectures from Felipe A. Medeiros (artificial intelligence and glaucoma), Budd A. Tucker (treating heritable blindness) and by Adriana di Polo (new insights into retinal ganglion cell dysfunction and damage). Please save the dates: March 20th to June 21st abstract submission; May 24th travel award submission closure; June 5th to August 9th early registration; October 1st closure of registration and housing. Stay updated at the website. Furthermore, the organization of the next ISER Biennial Meeting is already in process. For the ISER 2020 Biennial Meeting, Haydee and Nicolas G. Bazan will welcome you as local organizers at the Buenos Aires Hilton in Argentina, October 25th to 29th. The meeting website is available and the countdown is running. The website will soon be filled with the planned topics and topics organizers. Abstract submission, registration, and accommodation booking will start in January 2020. Information in more detail will develop during the year 2019. I am already looking forward to the meeting in Buenos Aires in 2020. With the advent of the new year, we welcomed our new President, together with new council officers to the treasury, vice presidency to the Americas and Europe, our new Young Investigator Representative, as well as our new Secretary, yours truly. We look forward to working with our new council, as we move forward in supporting our members and growing the Society. With the approaching months, we plan to hold a Strategic Planning Retreat to see where we are headed and how we can do things better. Please take some time to review our current Bylaws and if you feel these need reviewing, we are happy to consider your ideas. We look forward to seeing you all in the not so distant future and be sure to visit us at our booth at ARVO in Vancouver. Hello ISER community! My name is Nilisha Fernando and I am your new Young Investigator Representative for 2019-2020. I was thrilled to be elected and to step into this role in January. ISER has provided me with very positive experiences over the last few years as an early-career researcher in vision science. It is wonderful to have the opportunity to give back to the ISER community. I am a postdoctoral researcher in the Clear Vision Research Laboratory (led by Dr. Riccardo Natoli) at the Australian National University in Canberra, Australia. My research is based on testing novel therapeutics to target inflammation in Age-Related Macular Degeneration (AMD). Over the past 8 years, I have been fascinated by retinal research, however, upon attending the ISER Biennial Meetings I have learned that one of the best parts of these meetings is the opportunity to hear about research from all areas of the eye, and to meet fellow Young Investigators from all around the world. I was lucky enough to be awarded a travel grant to attend the Tokyo meeting in 2016 and speak at the Belfast meeting in 2018. For me, these were pivotal moments in my career thus far. As students and early-career researchers, these are some of the great opportunities that ISER can provide. I encourage you all to apply for travel awards and committee positions, as well as attend Young Investigator social events to meet each other and get the most out of your ISER membership. A major goal for the next two years as your Young Investigator Representative is to increase membership and engagement with ISER. For each of you, I challenge you to chat to a new student or postdoc in your lab about ISER and encourage them to join this vibrant and supportive community for eye research. I also encourage you to submit an abstract to the ISER 2020 Biennial Meeting to be held in Buenos Aires, Argentina (October 2020). In the meantime, watch this space for new developments for Young Investigators. Please do not hesitate to contact me if you have any questions, suggestions or feedback (nilisha.fernando@anu.edu.au). For those of you attending the ARVO Annual Meeting in Vancouver this year, I hope to see you around! Fundraising for the upcoming biennial meeting usually requires negotiation with sponsors more than 18 months ahead. This is due to each company deciding a year ahead of time which organizations they will sponsor and how much they will sponsor. I would like to suggest a tactic we used at the Tokyo meeting, where a list of past and potential sponsors were contacted through a company dedicated to this task. T-Mark, Inc. took this task at the Tokyo meeting where they efficiently contacted more than a hundred companies in the first few months. The Sponsorship Prospectus for the upcoming Buenos Aires meeting in 2020 is now available. Please feel free to share the Prospectus with any of your educational and industry contacts. The Communications Committee (Christine McGahan; Bryan Jones; MD Imam Uddin; Subhabrata Chakrabarti; Goldis Malek; Ashay Bhatwadekar, Sayak Kumar Mitter, Fnu Ruchi) look forward to helping to communicate the mission of ISER to a wider audience. Some of us met at the last ARVO meeting in Honolulu, Hawaii and discussed how social media platforms like Twitter are an effective way to engage the science community. We have a Twitter account, @iserworld that I encourage you to sign up for and start using to help communicate and promote not only ISER but your lab and the work in your laboratories to a wider community. Some of you are familiar with Twitter, some of you are not. For those of you not on Twitter, you are missing out. Most news outlets and corporations now have a Twitter presence, astronauts are Tweeting, the NIH has a Twitter account (@NIH), as well as the NEI (@NatEyeInstitute), and almost all scientific journals now have Twitter accounts. And for good or evil, depending upon your perspective, it has become a major platform in politics. You should be aware though, that Twitter is not all politics, and you can tune the content for the signal to noise you want by which accounts you follow. There are communities on Twitter with specialized interests and the science community on Twitter is one of the most active, diverse and positive communities on social media. It is a community that helps to promote work, provides opportunities for real scientific collaboration, invitations to give talks, attend meetings, perform outreach, and more. ISER would like to use Twitter to help you promote your work by including your laboratory profiles and photographs or imagery representative of your data and research efforts on Twitter as well as in our newsletters. In science, Twitter has become the most powerful tool I’ve ever seen for connecting people, establishing relationships, and changing workflows that you would otherwise never have had the opportunity for. We proposed to start keeping a list of the Twitter handles for authors and labs, so that we can help promote their work with it is published through EER, and will work to add a field for authors' accounts so that a Twitter handle can be included when manuscripts are submitted to Experimental Eye Research. We will also start collecting identifiable accounts from vision researchers on Twitter to make a list of people in the community that you might be interested in following. You can start by helping us find you by following @iserworld on Twitter. The picture shows the vasculature in the anterior segment of a mouse eye. To obtain this image, the anterior segment was stained for the vascular marker PECAM1 (CD31) and imaged by confocal microscopy. The image was then coloured using FIJI, the lower stack (towards the centre of the eye) was painted in warm colours and they became colder towards the surface of the eye. This way, we can see the Schlemm’s canal endothelium in yellow/red and the collector channels and episcleral veins in blue/purple. I am happy to report that Experimental Eye Research received a record 840 manuscripts for review during the calendar year 2018! As of this writing (February 6, 2019), we’ve already received 82 manuscript submissions. We’ve experienced a large uptick in submissions from the Asia-Pacific region, particularly from mainland China, and also a surge in manuscripts pertinent to the Cornea and Lens Section of the journal. In my prior message (see this Newsletter; November 2018), I reported that we had two Special Issues in process: one is a tribute issue in memory of Dr. Martin Steinbach, being spearheaded by one of his former colleagues, Dr. Elizabeth Irving (University of Waterloo, Ontario, Canada), and the other on lipid and protein oxidation in retinal degenerations, being guest edited by Dr. Deborah A. Ferrington (of our Editorial Board, and University of Minnesota, Minneapolis, MN, USA) and myself (SUNY- University at Buffalo, Buffalo, NY, USA). Those two Special Issues are now finalized and either will be published by the time this Newsletter is released or will appear soon thereafter. I’m happy to report that we’ve received commitments for two additional Special Issues: one with the title “Angiotensin II and aldosterone: Co-conspirators in ocular physiology and disease,” co-guest edited by Drs. Jennifer Wilkinson-Berka (of our Editorial Board, and Monash University, Melbourne, Australia) and Francine Behar-Cohen (Centre de Recherche des Cordeliers, Paris, France); and the other on ocular genetics, in memory of Dr. R. Rand Allingham (Duke Eye Center, Duke University, Durham, NC, USA), being co-guest edited by Drs. W. Daniel Stamer (of our Editorial Board, and Duke University), Yutao Liu (Augusta University, Augusta, GA, USA) and Michael Hauser (Duke University). In addition, we have about a half dozen Review Articles approved for submission. Imre Lengyel, PhD and his team published an article titled Calcified nodules in retinal drusen are associated with disease progression in age-related macular degeneration (see press release). Francisco Javier Romero, MD, PhD and his team recently published a paper on RPE-derived EVs and angiogenesis (see press release). Michael Walter, PhD and his team recently published a paper on the discovery of the first pigmentary glaucoma gene (see press release). I have completed a Bachelor Degree in Medical Sciences with dual majors in Pharmacology and Anatomy in 2003 (University of Sydney, Australia). I thereafter joined the Discipline of Anatomy and Histology in Faculty of Medicine in 2005, graduating with a distinction in Diploma of Science. I further continued with postgraduate studies and completed PhD in retinal ageing and disease in 2011. During my career, I have held various positions and roles in research and teaching at universities, independent institutes, and centres. As an early career researcher, my research work has been recognised both nationally and internationally. I have co-authored > 12 peer-reviewed research publications in high impact journals, with > 500 citations and an H-index of 9. My work has been presented at 23 conferences, out of which he received travel grants to attend 4 international and 2 national conferences. I was an investigator on 5 project grants and received 4 research scholarships. I have been awarded 11 research prizes and 3 research support schemes. I have shown to be a great role model by attracting a variety of media coverage including Natural History (USA) magazine and international newspaper publications, science exhibitions and image competitions. I have also co-supervised 2 master students and mentored 2 PhD, 1 master, and 1 honours students. I served as a peer-reviewer for 4 international scientific journals and accepted key roles on committees at university and community engagement. My research experience expands over ten years in basic sciences and three years in clinical sciences. Together, gaining skills, expertise and a comprehensive understanding of the central nervous system (CNS) in healthy ageing and disease. During my PhD study, I investigated astrocyte changes in CNS retina associated with and have contributed further knowledge in the field and a better understanding of age-related cognitive decline, neurodegeneration, Alzheimer disease, and dementia. Results of this study have been presented in the high-impact journal Aging Cell; [Aging Cell. 2008 Aug; 7 (4): 526–540)]. I further accomplished research experience and technical skills with state-of-the-art experiments in tissue staining, image processing, and advanced microscopy, in pioneering six marker immunohistochemistry in retinal tissue whole mounts, which was published in the journal PLoS ONE; [(PLoS ONE. 2013 Mar 14; 8 (3): e57038)]. 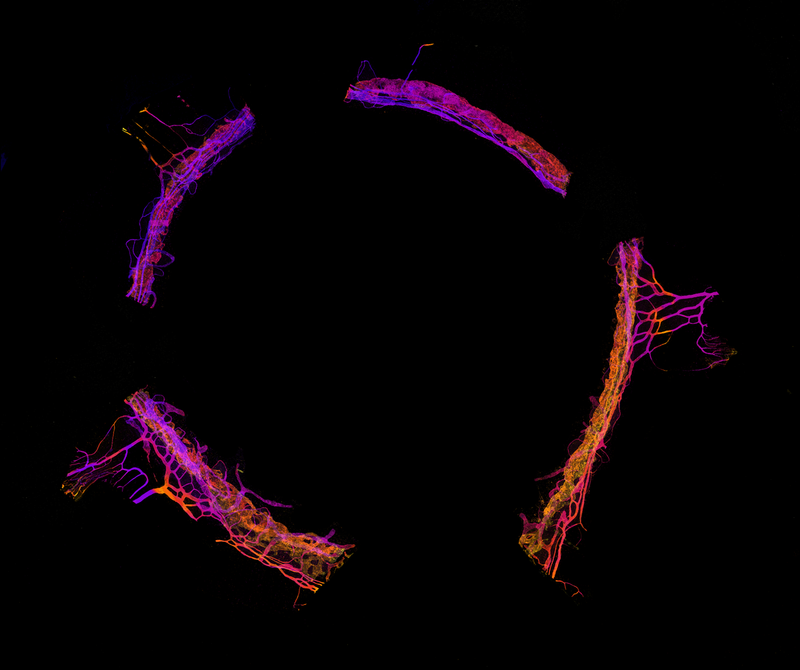 My microscopy skills in imaging and research have been highly commended in receiving 3 major awards; Olympus BioScapes International Digital Imaging Competition, Australian Eureka Prize for Science Photography and Eurovision International Imaging Competition. One of the photographs appeared in the prestigious journal Nature; [Nature. Issue 438, Dec 2005, pp1063]. This recognition is a testament to my skills in microscopy, interpretation, and presentation of data. I recently joined as an ISER member with interest and passion for the further knowledge and understanding of eye and vision research both in applied basic and clinical science. With certainty, ISER will provide me with shared insight, resources and information on various exciting topics in this field, as well with networking opportunities, collaboration, and communication at an international level. The Neuroimaging and Visual Science Laboratory is part of the Departments of Ophthalmology and Radiology at NYU Langone Health. Directed by Kevin C. Chan, PhD, our laboratory focuses on developing and applying new methods for non-invasively imaging neurodegeneration, neurodevelopment, neuroplasticity and neuroregeneration in vision-related diseases and injuries to guide vision preservation and restoration. Glaucoma is the leading cause of irreversible blindness in the world. Although elevated eye pressure is a major risk factor, recent evidence suggests the involvement of the brain’s visual system, apart from the eye, in the early degenerative mechanisms of the disease. However, the pathogenesis of glaucoma in the visual system remains largely undetermined. Our lab's research goal is to develop novel structural and physiological magnetic resonance imaging (MRI) techniques for whole-brain, non-invasive, and longitudinal measurements of damage and disease progression along the visual pathway in glaucoma patients. Our recent research has demonstrated structural, metabolic and functional relationships between eye, brain and vision loss in patients with early and advanced stage disease when brain MRI findings were compared with clinical ophthalmic assessments. We also combine neuroimaging and neurotherapeutic approaches to guide vision preservation and restoration in humans and experimental animal models. The development of novel methods for characterizing and monitoring chronic glaucoma in the visual system can potentially lead to more timely intervention and more targeted treatments to reduce the prevalence of this irreversible but preventable neurodegenerative disease. Visual impairment is a major health problem worldwide. When vision loss becomes irreversible, some solutions seek to assist patients to 'see' with their remaining sensory modalities by converting live visual information into patterns of sound or touch. This process is termed 'sensory substitution'. To date, little is known about how these new technological senses interact with the brain to influence perception and behavior in the blind. Our lab aims to investigate sensory substitution technologies and improve visual neurorehabilitation strategies, by identifying the structural and functional brain networks involved in sensory substitution, and by examining the plastic brain changes resulting from multisensory training through the combined use of advanced neuroimaging and neuromodulation techniques. This past year we lost one of our colleagues, Oscar A. Candia, MD, who passed away on Wednesday, December 12th in Mexico City after an extended illness. Oscar was not only an esteemed ocular physiologist but also a friend of many in the ophthalmology community. He was born in Buenos Aires, Argentina, in 1935 and grew up in Curuzú Cuatiá, a small town in northern Argentina. He received his medical degree in 1959 at the University of Buenos Aires; however, he did not practice medicine but decided to concentrate on research, particularly in the area of ion transport physiology as it pertained to the eye. In 1968, Oscar joined Mount Sinai School of Medicine in New York in the Departments of Ophthalmology and Physiology. He remained at Mount Sinai for the next 50 years making important contributions to the growth of ophthalmic research in the department, serving as Director and Vice Chairman for Research in the Department of Ophthalmology until 2017. His work, which furthered the understanding of the physiological and biophysical features of the cornea, lens, and ciliary body, appeared in numerous peer-reviewed publications, with his last paper focusing on aquaporin and presbyopia. Dr. Candia was also remarkably successful in obtaining public and private funds to support his research as well as support through program project grants for the Department of Ophthalmology at Mount Sinai. His seminal work on the electrophysiology and biophysical aspects of ion transport of the cornea were paramount to our understanding of normal cornea physiology. His interest did not stop at the cornea as he also made major contributions in the understanding of the ion transport physiology of the lens and ciliary body. Dr. Candia was also interested in participating in the growth of the ophthalmology community and was active not only in the Association for Research in Vision and Ophthalmology (ARVO), where he had served as trustee of its Physiology and Pharmacology section, but also in the International Society of Eye Research where he was an active participant and had organized the Seventeenth meeting in Buenos Aires, Argentina in 2006. Fitting that the next ISER Meeting in 2020 will be in Buenos Aires. 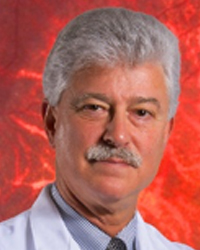 Additionally, Dr. Candia served as the Associate Editor for Investigative Ophthalmology & Visual Science and contributed to NIH study sections for three decades as both a member and ad hoc guest. Dr. Candia will be missed by many, not only for his unique intelligence but also for his humor. He has rarely seen without a smile or someone hearing his hearty laugh. Always available to consult and assist with young investigators and he always had a new idea he wanted to test. The ophthalmology community has lost a good one. Our deepest sympathies are extended to Dr. Candia’s family, friends, and loved ones. The program is designed to facilitate exchanges of trainees, at any training level, between ISER member labs. By encouraging trainee exchanges, ISER helps trainees augment their skill sets, enable technology transfer among member labs, and expand the productivity of participating labs. 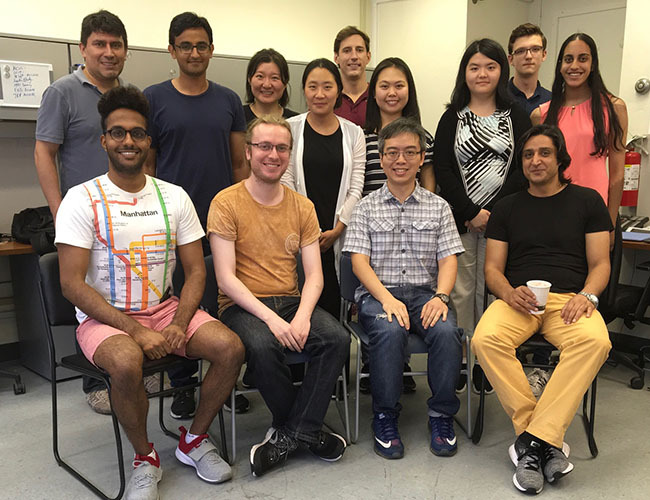 When Young Investigator members are interested in participating in this program, their supervising mentors collaborate and help facilitate sending their graduate students or postdoctoral fellows to the other’s laboratory. The laboratories assist with the associated travel and housing costs for their respective trainees. Upon completion of the program, participating trainees will receive complimentary ISER Biennial Meeting registration and a complimentary 2-year ISER membership. Their sponsors will receive one-half off of their ISER Biennial Meeting registration fee. Trainees will also be invited to present their collaborative research as either a paper or poster presentation at the upcoming meeting. These inter-laboratory collaborations are extremely productive and successful! If you are a trainee or have a trainee that is interested in participating in this program, please contact the ISER office for more information. Please pay your 2019 membership dues, if you have not already done so. You can pay online using a Visa, Mastercard or American Express. Contact the ISER office if you have questions or need assistance. Copyright © 2019 International Society for Eye Research, All rights reserved.